The day is still young, but there are now many more Vaults awaiting your discovery. Within them? Many secrets… and a myriad of valuable Æmbershards, which you may exchange for prizes at Vault Tours and any other KeyForge events that feature a Prize Wall. And now—in the Time of Triumph—you can enrich your Master Vault account with even more of these elusive Æmbershards by participating in the ChainBound events held at your favorite local game store! Your Game Is Always Chain-ging! We're pretty excited for what these ChainBound events bring to KeyForge Organized Play. In fact, we're pretty excited for what these events bring to Organized Play in general. 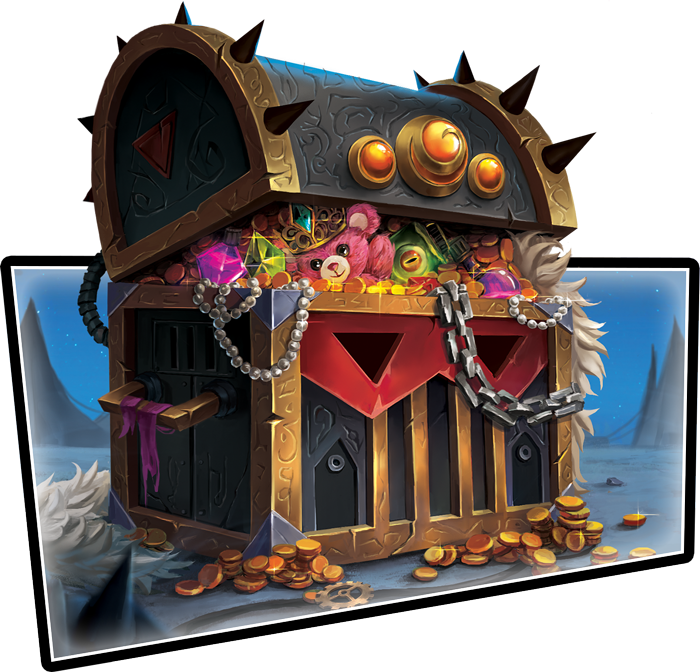 By coordinating the results of these events with the KeyForge Master Vault, your Master Vault account, and the decks you've discovered, we can introduce our Prize Wall redemption system. But more than this, we can also influence the KeyForge metagame, promoting changes within YOUR. LOCAL. METAGAME! This is pretty wild stuff. Over the course of playing ChainBound tournaments, your decks can earn and lose Chains that impact your hand size on the opening turn and—potentially—for several turns afterward. And as your deck keeps on winning, it can even gain Power Levels, which are great right now for bragging rights—but will be even better in the future when they're required for participation in certain events! 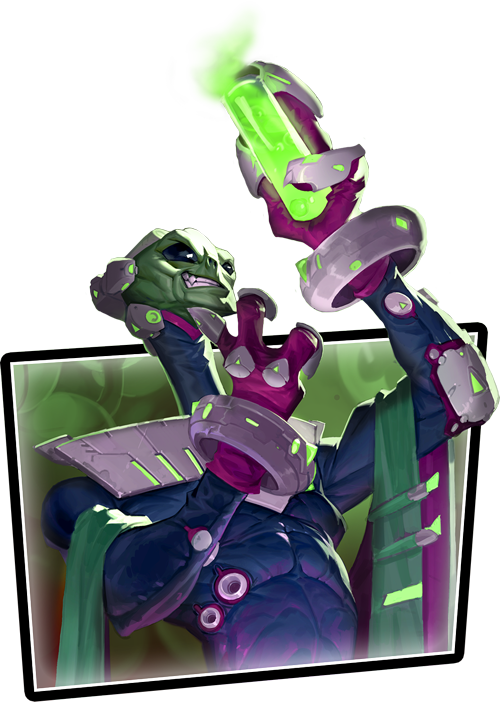 This means that KeyForge is leading the charge toward an innately fluid local metagame. A single deck cannot dominate your local scene week after week. As they win, they'll gain chains, and if they keep on winning, they'll eventually gain enough Power Levels to level out of the ChainBound environment entirely. 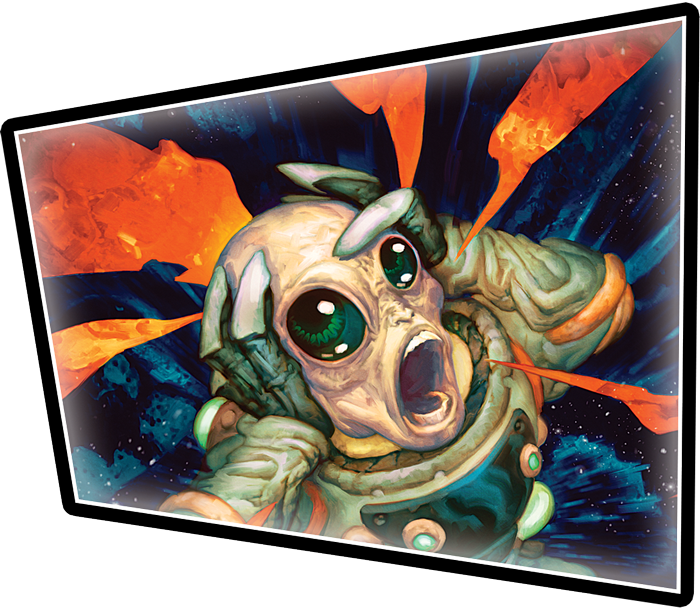 As a result, you'll see players trying new decks more often than you might in other games… and that means that even in the Time of Triumph, you're still going to see a lot of the discovery and wonder that define the KeyForge experience. Each KeyForge ChainBound event is run as a Swiss-style tournament of three or four rounds, depending on the number of players. Qualified retailers can run one of these events each week, and you gain one Æmbershard for participating, plus one Æmbershard per game you win. 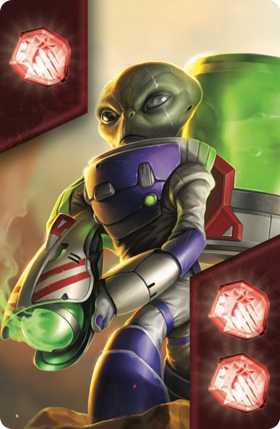 Fight for the glory of Mars, and you'll earn a hoard of Æmbershards worthy of any Martian! Your event organizer will decide whether to run your ChainBound event in the Archon or Sealed format and whether you'll play one-game rounds or best-of-three rounds, but every ChainBound event—by default—uses the Solo variant, so you'll never need more than one deck per event (and you'll only apply any new Chains and Power Levels toward that one deck). It's important to note that new Chains and Power Levels are only applied after events conclude—not between rounds—and that they're applied to your decks rather than to you. All the same, as you can see, the changes are going to be fast and furious! This isn't a format where you eventually see the difference after a season of play! You'll see players fighting against their new handicaps from week to week, and players competing for those higher Power Levels will need to truly earn them. But once you get those Power Levels on your deck, they stay there. Even though you can lose Chains, you can't lose Power Levels. 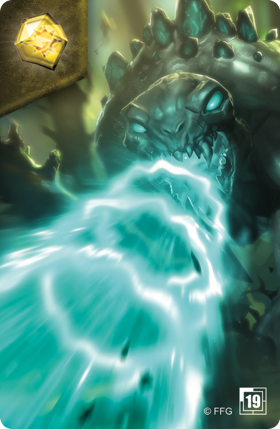 Even as you enter these ChainBound events to fight for Æmbershards, your event organizers can—at their discretion—supplement your rewards with the promotional cards from the KeyForge 2019 Season One kit. Each month, you can earn new cards by playing games at your local retailer. Throughout the first month, you can earn copies of a double-sided card with custom designs for Power and Stun. Throughout the second month, you'll play for a double-sided Æmber card. And in the third month, you'll play for a double-sided damage card. These designs are all visible in the Prize Gallery on the Organized Play section of the KeyForge Master Vault. You don't need to win your games to earn these cards. You don't even need to compete in tournaments to win them. You just need to participate in the KeyForge Open Play nights at a participating retailer, and your event organizer is free to count the games you play in ChainBound events toward these prizes. The Crucible lies before you. The Vaults await you. The world is full of Æmber. Go forth and reap your Æmber. Go forge your keys. Start along the path of wonder, discovery, conquest… and fun! Use our Store Locator to find retailers near you. Then, contact those retailers to see when they'll be hosting their ChainBound events!